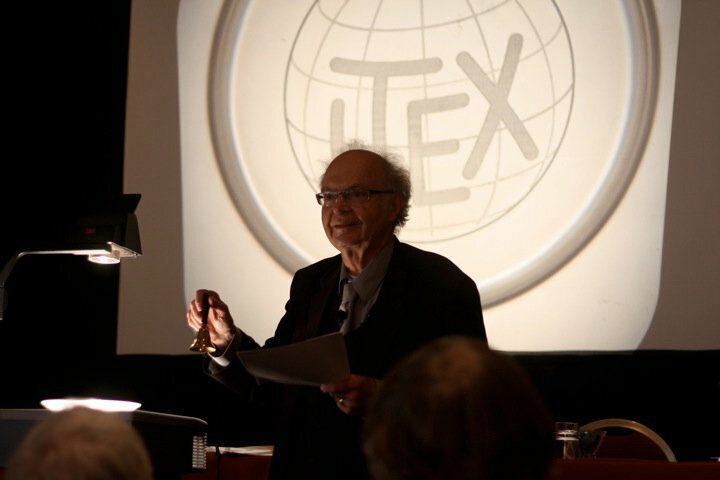 Here’s a photo I took of Donald Knuth at the TUG 2010 conference during his “Earthshaking Announcement”. I’m not sure exactly how it has been distributed (perhaps Facebook) but I see it’s now floating around the internet. I’m not a big stickler for attribution in this case—I’m quite happy the photo turned out this well at all, let alone good enough for others to use. In any event, I thought it would be a good idea to clear up who the original author of the photograph was.